As you prepare for the GRE it is good to introduce variety in your study routine. GoConqr’s GRE Flashcard tool allows you to create flashcards which are particularly helpful for revising for the GRE Verbal Reasoning test. You can copy and edit or add to existing GRE flashcard decks, and the next time you try them you can choose to hide the cards that you already know – making your valuable study time even more effective. You can add words, images, or mathematical notation. 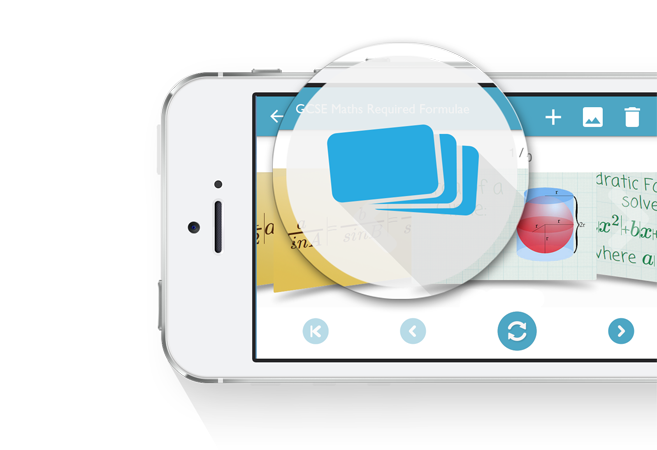 Then flip through the deck, and you can even revise on our mobiles apps. That way you can revise for the GRE test whenever you have a few spare moments. So what are you waiting for? Sign up with us now and start creating your very own. Share them with friends or on social media. Or even with our GoConqr GRE prep group If you’d like to see more great ideas from GoConqr head on back to our GRE Index Page now.